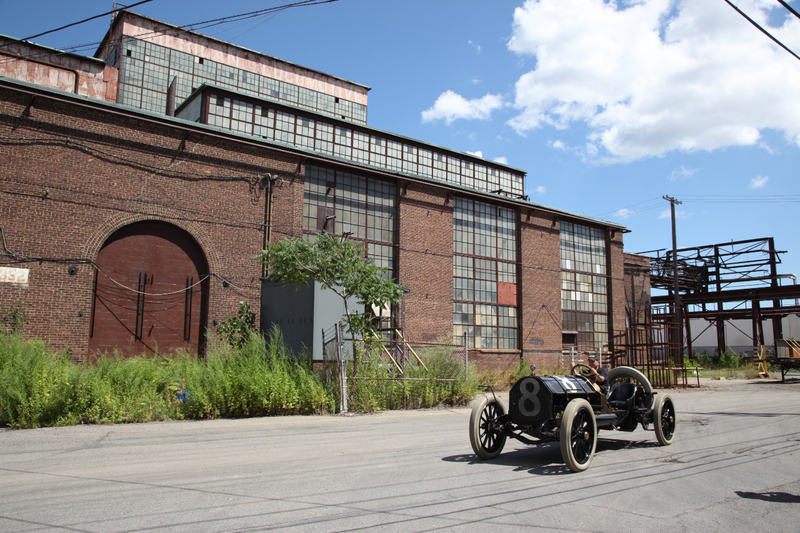 The Black Beast parked in front of a former American Locomotive Company plant. 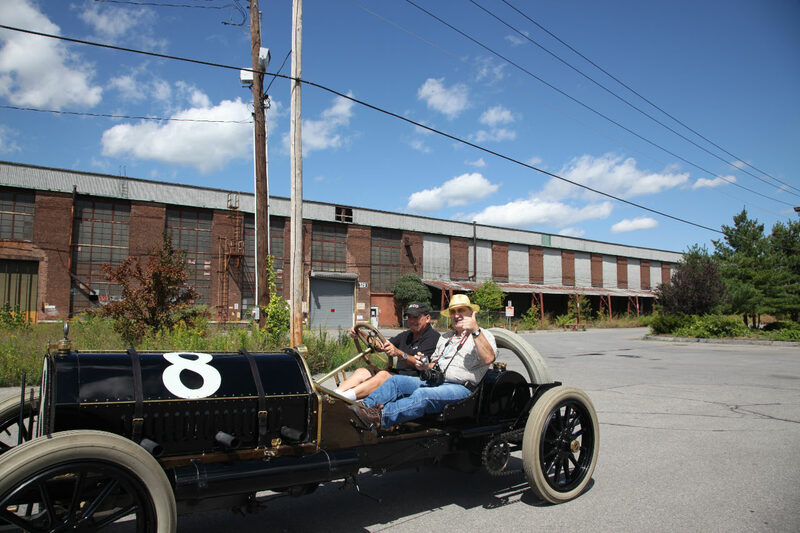 Although all Alco automobiles, trucks and the four racing cars were manufactured in Providence, Rhode Island, decisions concerning the automobile product line were made at their Schenectady headquarters. The Alco plants were closed in Schenectady in 1969. 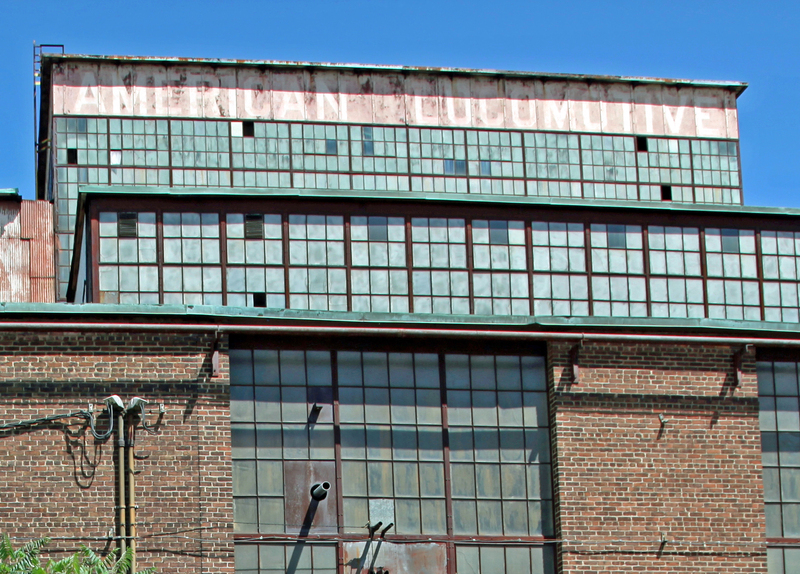 The American Locomotive logo can still be seen on the top of this building. 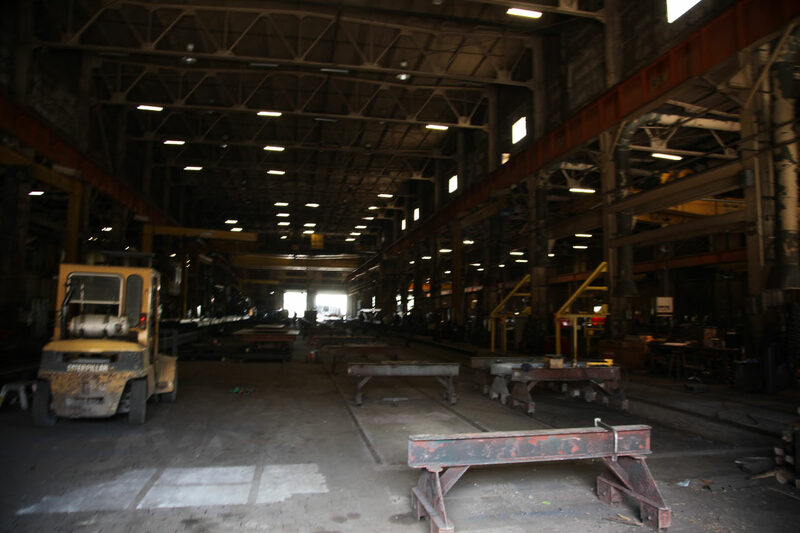 One of the former huge Alco plants has been converted into a manufacturing facility for STS, makers of steel beams. The Black Beast always draws a crowd. 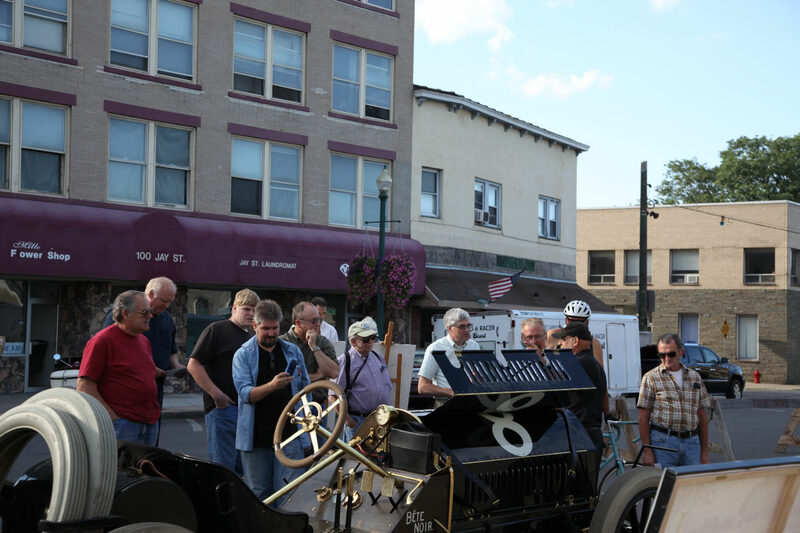 The Black Beast did several laps in the "Alco" parking lot with Saratoga County Historian Don Rittner. 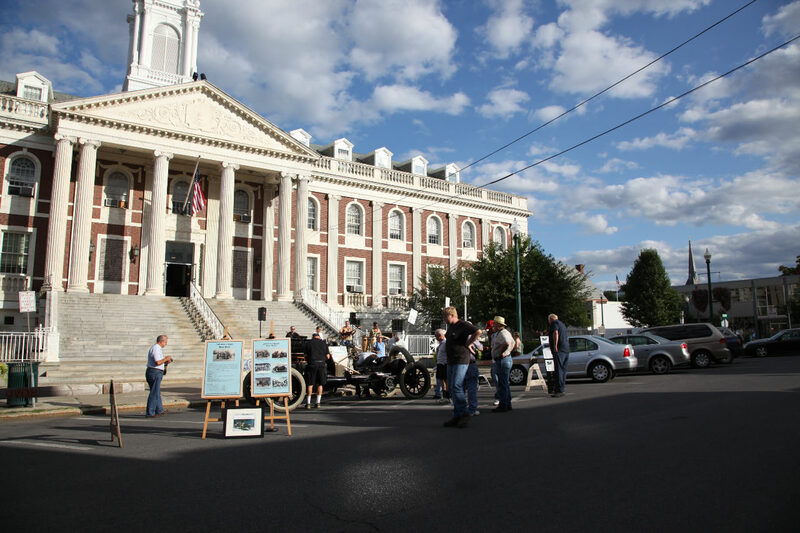 Featured at Friday's Schenectady Art Night, the Black Beast was displayed in front of City Hall from 5:00 PM to 9:00 PM. 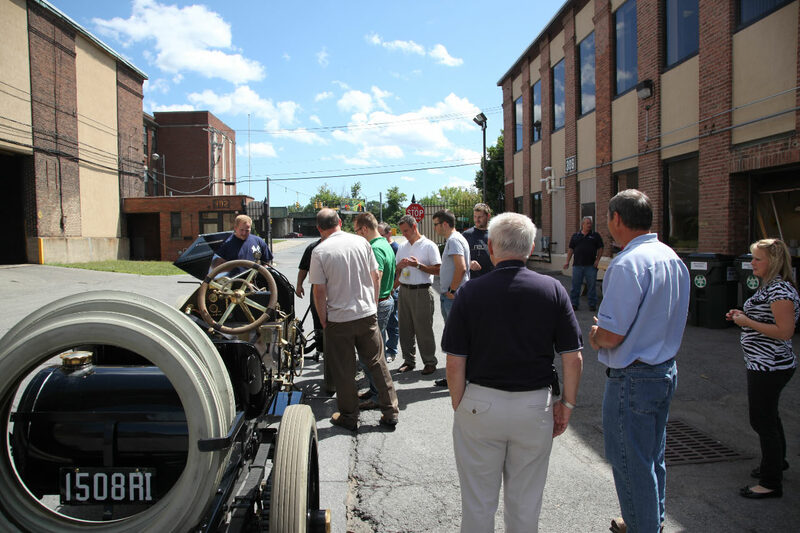 Among the people to come out to see the car were former employees and children of employees of American Locomotive Company. They were very excited to see their very first Alco automobile. 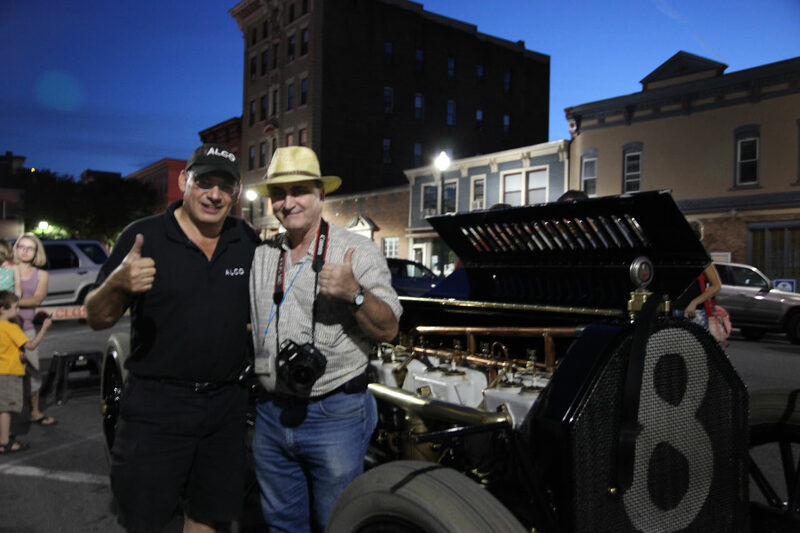 As reported on the front page of Schenectady's The Daily Gazette, "Howard Kroplick of East Hills, drives his 1909 Alco Black Beast around Schenectady City Hall on Friday with county historian Don Rittner in the passenger seat." 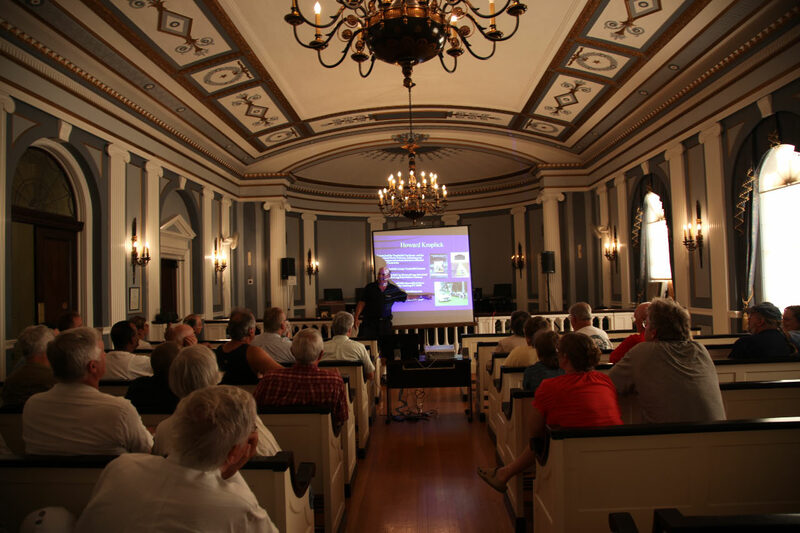 At 7:00 PM, I gave a presentation on Alco cars in the beautiful City Hall Chambers. 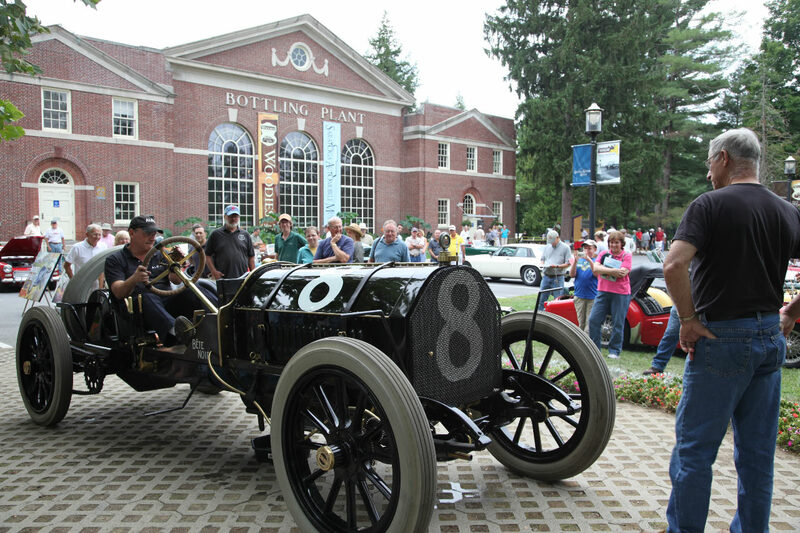 A big hit was this film of the 1911 Indy 500 Race in which the Alco competed. 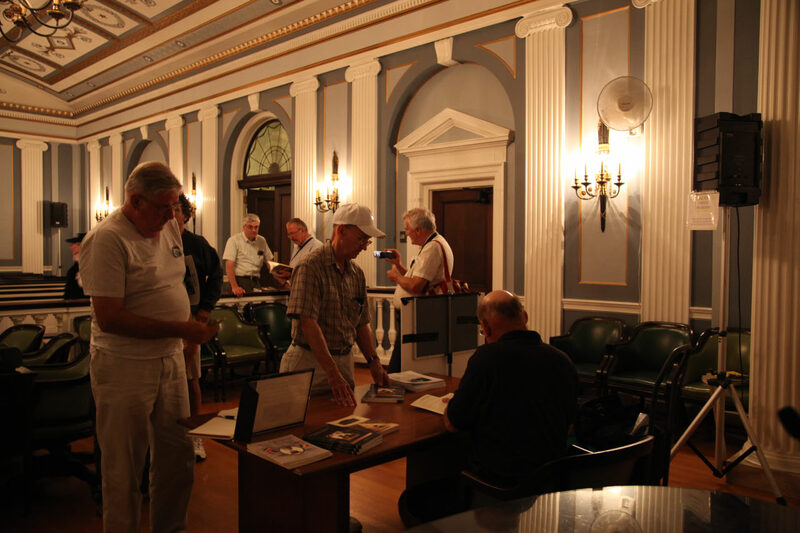 Following the presentation, a book-signing for Vanderbilt Cup Races of Long Island and The Long Island Motor Parkway raised money for Child Abuse Prevention Services (CAPS). Howard Kroplick and county historian Don Rittner. 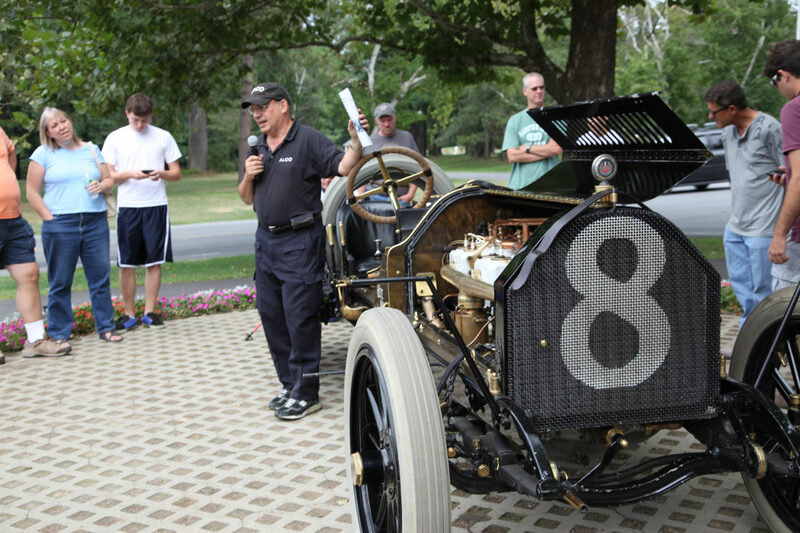 The Black Beast was an attraction at the Saratoga Automobile Museum's ATA British Motorfest. A presentation of the features of the car. The first driver to wear a bib in the Black Beast. 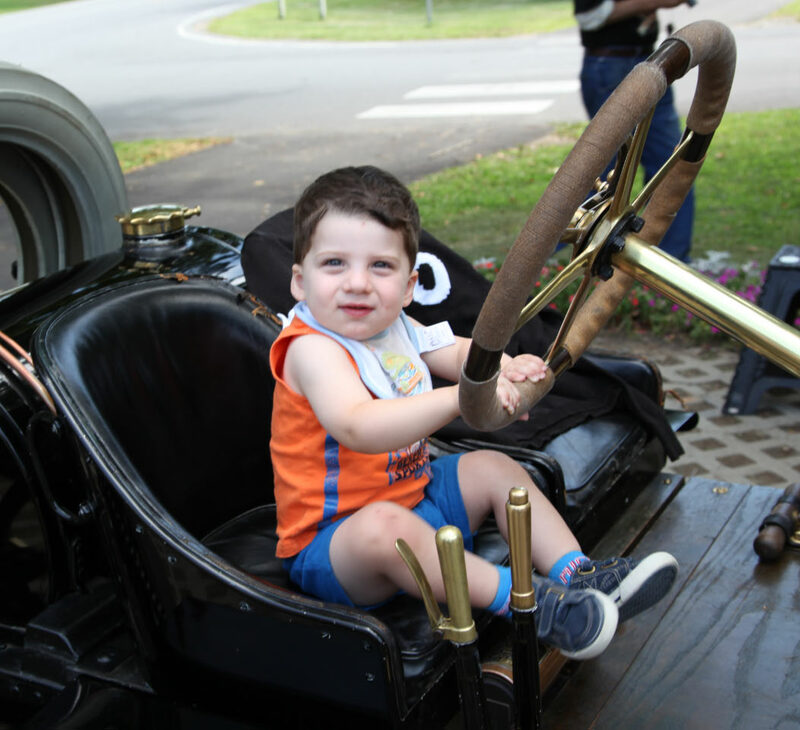 If you in the upstate New York area, a stop at the Saratoga Automobile Museum is a must. Check out the current Woodies exhibit. During one demonstration start-up, the engine cut off unexpectedly. The Alco Team sprung into action and repaired the magneto connection. George Gravel of the Alco Historical and Technical Society presented me with an official Alco mug. Thanks, George! 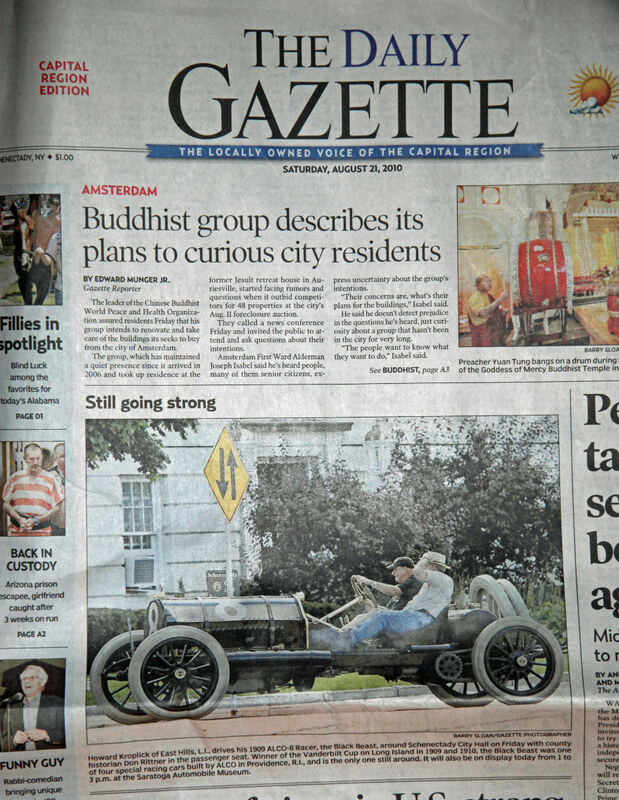 The pleasure was all in Schenectady being driven around City Hall - what a sight to behold! What a noise to start her and run her around the Hall. But, it was worth it! Had the pleasure of meeting the car’s team. Thank you for taking the time to share your one and only with all of us around the Saratoga Springs area. Its a real treat to see something that rare! !